Dr. Janice Presser is CEO, a Principal of The Gabriel Institute, and architect of the underlying technology that powers Teamability®. She is a pioneer in Talent Science, and a recognized thought leader in qualitative assessment and human infrastructure management concepts. 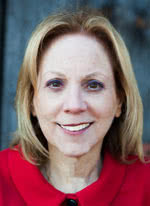 Her new book, slated for release in 2013, will explore the theoretical and physical foundations of 'teaming,' and their profound impact on the structure, development, and leadership of teams. Blowing up a new sales recruit isn’t hard to do, if you know how. From what I hear from my professional sales buddies, there’s a lot of it going around! Here’s the formula. One of the dangers of being a good listener is that, well—you listen. Yet even smart, successful people give bad advice. Here are five of the most off-target "truths" that business experts inflicted on my entrepreneurial soul. Having a source of reliable, actionable 'Role-specific' information about creating satisfaction would mean that many more people could be happier at work, and thus, happier when they go home. Happier people, better world. A 'sixties' dream achieved. The Gabriel Institute is the parent company of Teamability®, a completely new technology engineered to identify and improve the ways in which people interact. TGI has developed a comprehensive suite of teaming metrics and team development methods broadly applicable within corporate, institutional, and non-profit organizations worldwide.